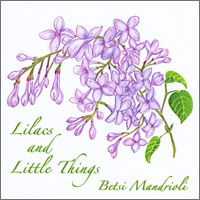 Lilacs and Little Things is my 4th CD, and it was a joy to create. Seth Connelly my producer, engineer and studio musician brings his creative genius to the album by his flawless and beautiful accompaniments. Joining me on vocal harmony are my friends, Jon Swenson, John Ferullo, Tracy O’Connell and Kathleen Larkin with Tag Vennard playing piano on our co-write, “Watching the Green Grass Grow”, and Hatrack Gallagher playing harmonica on “Mothballs”.The tunes I have included are an eclectic mix of stories about life, love, friendship and nature. My goal was to create music that is full of positive energy and beauty. 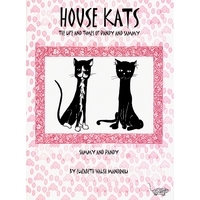 Songs with some drama, but stories that affirm the kindness and love of the human spirit. 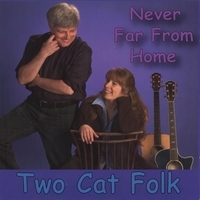 The debut CD from my duo “Two Cat Folk”, Never Far From Home includes a variety of original tunes, written by John and myself and a couple covers. Jon Swenson joins us on background vocals, Matt Levenworth on fiddle, Seth Connelly on mandolin, piano, bass, guitar, accordion, banjo, percussion and me and John on guitar and vocals.This project was very fun to work on and also produced and engineered by our good friend, Seth Connelly.